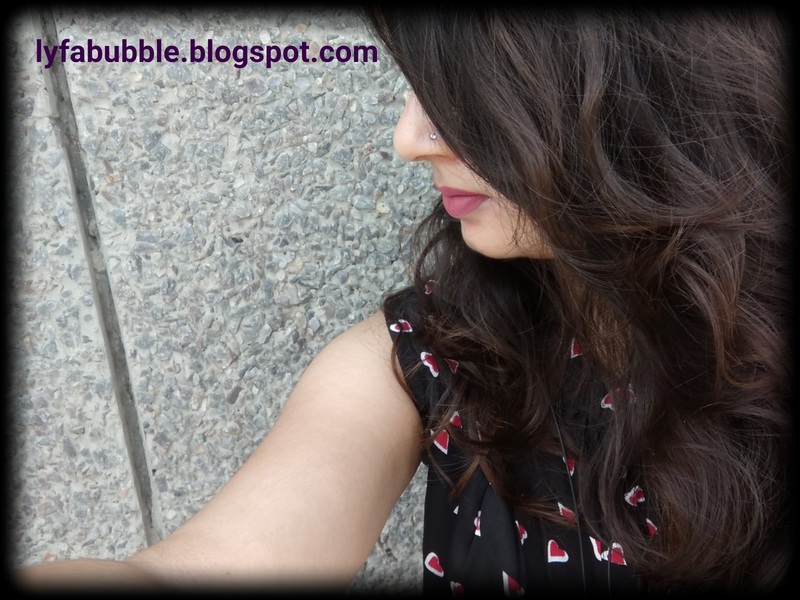 Few days back, I ordered the Incolor Matte Me lipstick from Flipkart. I ordered on Monday evening and I received the package on Friday. While I was placing the order, my cart displayed two items but I had ordered just one. I opened the details and the second product wasn’t charged for. It was only then that I realized that I received a freebie gift. The seller name was AeroRetail. Although, the reviews about the seller weren’t quite impressive, my order came sealed and decently bubble wrapped. I bought the Incolor Matte Me lipstick at the retail price of INR 353 (including Rs. 30 as shipping fee) for net weight of 6 ml. The availability of this product is quite an issue and since this product does not come with a price tag, these are sold by different sellers are varied rates. For instance, my friend bought it for INR 250 and once when I looked into gazillion local cosmetics store, I found a store which sold these for INR 350 and I refused to buy from them because I knew that they are available at reduced rates too. 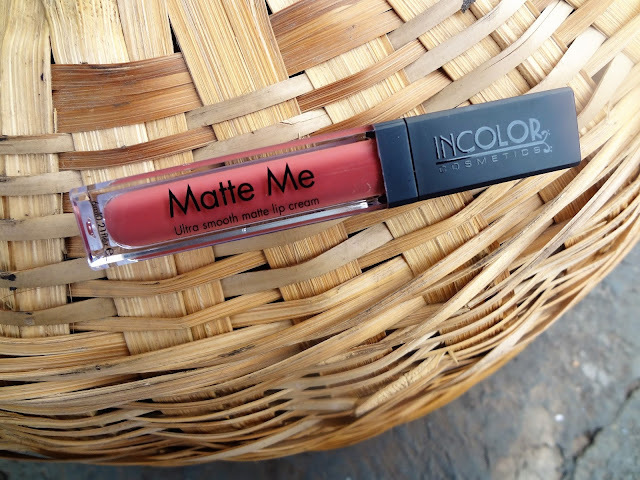 Incolor Matte Me ultra smooth matte lip cream comes in a rectangular plastic tube which very well displays the color of the lipstick. The cap is matte black with Incolor embedded on it. The applicator of this lipstick is stiff and straight. Initially, I failed to use it properly and the product dries out quickly. In short, first try, I messed up. But the next attempt made me get the hang of it and I’d say it’s quite convenient to work with and you won’t need a lip liner separately. The stiffness of the wand actually works for your advantage while smooth application, especially on the corners of your mouth. 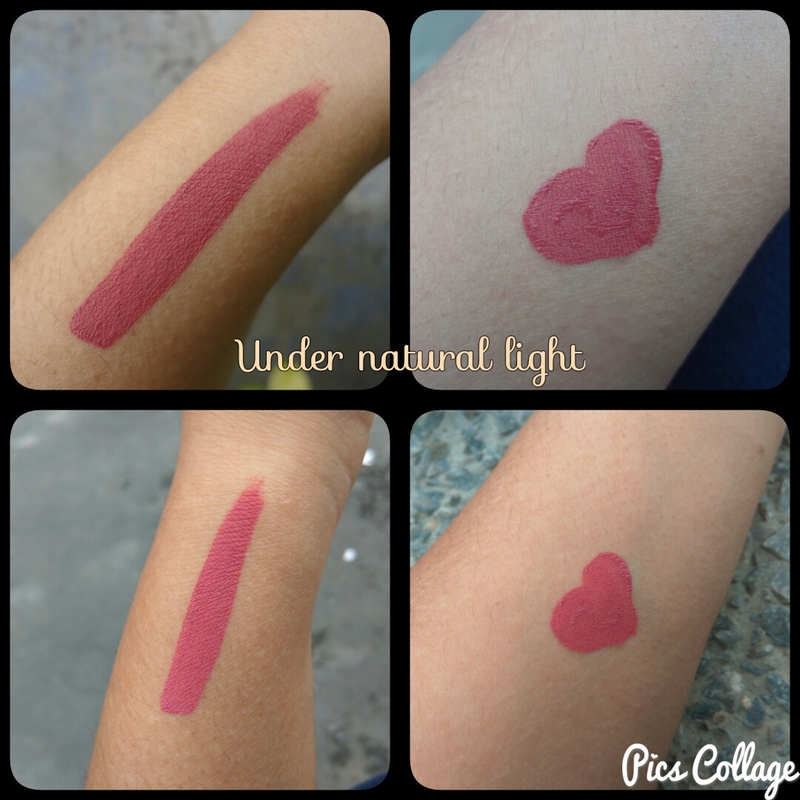 This product is selling like hot cakes since they are a dupe of Sleek Matte Me lip creams. These lip creams are long lasting, transfer and waterproof. They do not come off if you eat or drink anything but if you rub your lips post meals/drinks than it is definitely gonna come off. The texture of it is slightly drying since it is a matte lipstick but the pigmentation is pretty good. I used it with a brush and a single layer was decent enough to provide wonderful pigmentation. But immediately after I gulped water, the lipstick got removed from the center, making it look quite odd. This same problem did not occur when I used the applicator which comes with it. This lip cream fares well for 4 to 6 hours, but post meals, you do have to touch up because it leaves no tint behind so you’d end up some parts of your lip colored while other showcasing your natural lip color. The shade 415 is a gorgeous brown with pink undertones. Although, the blog sphere declares it to be a n*de shade; honestly, I feel the color isn’t gonna work as a n*de shade for fair complexion ladies, but definitely for the pretty olive/Indian skin tone. For fair skin toned women, if you intend to use the wand and desire a n*de lip shade, then I’d advise you to use a brush. With brush you can use less amount and build up on the color. Anyways, the color honestly is quite appealing. Although in camera it appears a pink lip shade but in real it isn’t that pink. Comment down below, which liquid lipstick is your favourite.